Slipping transmission or hard shifting are very common issues, which can be expensive to fix. However, using a transmission additive may be an affordable solution that solves the issue and is far cheaper than replacing your transmission. The best transmission additive is the Lucas Transmission Fix, which cleans and lubricates sticking valves for proper shifting. Replacing your transmission fluid can solve many issues but using an additive for your transmission is a quick and easy solution. They contain a mixture of friction modifiers and other petroleum additives that mix with the current transmission fluid. 7.2 How To Add The Additive? Driving with a faulty transmission that shudders or slips is not pleasurable and will eventually causes long term damage. Tackling the issue with an oil additive is not a long term fix but can solve the issue and allow gears to change more smoothly. During heavy towing or lack of servicing, the fluid can deteriorate and breaks down into a sludge form, which causes issues. Using an additive helps restore the original properties of the fluid, which resists heat and provide frictional properties. Below is a list of the best transmission additives that will help reduce hard shifting, sticky valves and and slipping transmissions. 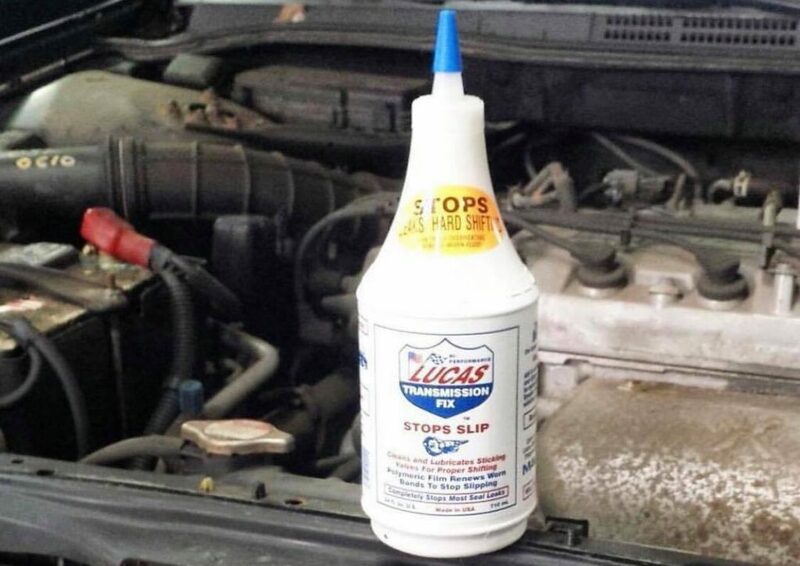 Lucas produce some of the best oil additive products available and have a reputation for great results. This additive has been designed specifically for slipping transmission issues and stops leaks or hard shifting completely. The Lucas Transmission Fix formula forms a polymetric film, which renews worn bands to stop the transmission slipping. This process controls overheating and renews fluid that has become worn from heavy hauling. Overall, it is the best additive for a slipping transmission and offers great value for money. The Lubegard transmission additive is by far the most popular. It is designed to eliminate the torque converter from the dreaded lock-up shudder. This is achieved by a concentrated friction modifier, which is in a small 2 oz bottle. The 2 oz Lubegard formula will instantly resolve transmission shudder and can be used in both conventional and synthetic oils. However it not only cleans the transmission but it also acts as a protectant to help improve the longevity. The Prolong Transmission Treatment is an additive that can be used with both automatic and manual transmissions. The formula ensures that all molecules chemically bond with metal surfaces in order to provide a protective layer that reduces friction and heat. Overall, it is an excellent all-rounder that can work with both manual and automatic transmissions. The Prolong Super Lubricants formula cleans, lubricates and provides great protection, which is everything you would want in a transmission additive. Sea Foam is a very reputable brand and the Hydra Trans Tune is their highly rated automatic transmission additive. The brand claims that the quick action formula helps to clean sticky valves, dry moisture and improve the overall performance of your transmission. Overall, the Sea Foam Trans Tune is the best transmission additive for the money that is produced by a trusted brand in the automotive industry. It is a petroleum-based formula that can be used with a range of fluids without causing damage. XADO Revitalizant EX120 has the most concentrated formula that is only available in a 8 ml syringe. It is designed to rebuild and restore metal parts of the transmission and provide protection against future wear. Due to the small dosage via the syringe, it is important that you use the required amount of additive. XADO state that for every 5 to 8 quarts of ATF, you should use 1 syringe. Overall, it is a specialist formula that is available for both manual and automatic transmissions that eliminates slipping, shudder and other issues. Hard shifting or a slipping transmission can completely ruin a pleasurable drive. Replacing the transmission fluid can be a solution but it may not be possible to perform the replacement. Therefore using a transmission additive would be the best option and it will restore the fluids properties and reduce transmission problems. 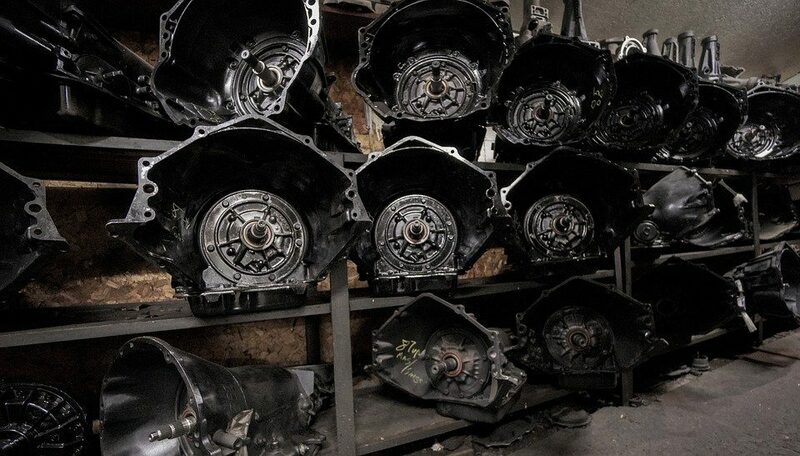 For those that regular haul heavy loads, you will need to pay extra attention to your transmission. The extreme heat from towing causes the fluid to break down, which can form a sludge that effects the performance. To help you make an informed buying decision, we have produced the below buying guide regarding transmission additives. Transmission can become problematic for a whole range of reasons. However, replacing or repairing your transmission can come at a great cost, which many may not be able to afford. However, considering that a transmission additive would be a fraction of the cost, it is worth trialing. If possible, we highly recommend choosing a transmission additive that tackles the exact problem that you are experiencing for the best results. How To Add The Additive? The way in which you add the additive to your transmission may differ from brand to brand. Some simply pour straight into the transmission fluid by removing the dipstick and using a funnel to reduce any spillages. However, there are some that may require you to drain the transmission, which many people will not be able to do. If you want a DIY solution to your transmission problems, it is highly recommend to choose an additive that simply pours straight in. As you may or may not already know, the fluid differs between manual and automatic transmissions. Therefore, this means that not every additive will be compatible with both types and its vital that you check the bottle beforehand. For example, the Lucas Transmission Fix is only suitable for automatics whereas the Prolong Super Lubricants formula is compatible with both. It is important that you understand that the additive is not a miracle product. The same can be said with a fuel injector cleaner, it will not magically cure all your fuel problems. For example, if you have a transmission that is slipping, it may be low on fluid. Therefore pouring an additive will not make any difference because the fluid will still be low and will require topping up. To avoid disappointment, we recommend that you check the fluid level in your transmission. Ensure that there is adequate levels and the oil is not a burnt color. This would indicate that the fluid may be okay and trialing an additive may be the best option. If there are any mechanical issues, the additive will not be as effective. Adding a transmission additive to your fluid can solve all your issues and be the best product you have ever bought. However, many people believe that it is a miracle formula that can solve any issue, which is of course not the case. All of our recommendations are suitable for a range of issues and are developed by reputable brands. We highly recommend avoiding brands that are not that well known as they would not have gone through as much proven tests.